We do not currently support iPhone 6 / 6 Plus, 6s Plus, XR, XS Max. Sign up to be notified when new models are available. *Offer expires two years after you activate your skin scanner. Discount valid in the Neutrogena Skin360™ app for use on any products recommended in your regimen. Discount cannot be combined with any other offer. Discount and free shipping can be applied to a maximum of two orders and up to 10 units of each product per calendar month. This limit will reset on the first of each month at 12:01 AM EST. Neutrogena Skin360™ analyzes your skin closer than ever before to tell you exactly what your skin needs⁠—⁠no more guesswork. Understand your skin with a personalized Skin360 Score, track and measure changes over time and achieve your best looking skin ever. A 30x zoom lens measures and magnifies pores and fine lines. 8 LED lights create a precise lighting environment. And highly accurate sensors scan above and below the skin's surface to reveal moisture levels and analyze your skin's overall health*. The Neutrogena Skin360™ app and skin scanner pack a powerful one-two punch of dermatological expertise and state-of-the-art technology to create the most personalized and precise all-in-one at-home skin analysis available. Want to know exactly what’s going on with your skin? Check this out. Your Skin360 Score breaks down your moisture levels, pores and fine lines to offer personalized advice and product recommendations unique to you and your skin. 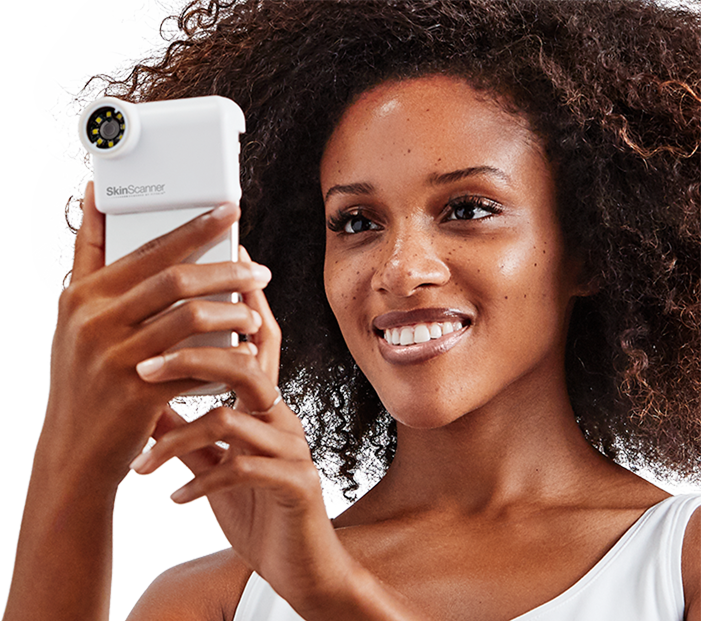 Neutrogena's new skin scanner is like a pocket⁠-⁠sized dermatologist. Get a more detailed look at your skin than ever before. We love that you can re⁠-⁠snap pics to check your skin's progress and track product performance with before⁠-⁠and⁠-⁠afters. Neutrogena's Skin360™ was the most exciting beauty accessory we saw this year. Learn more about Neutrogena Skin360™, find troubleshooting tips, get support and more.